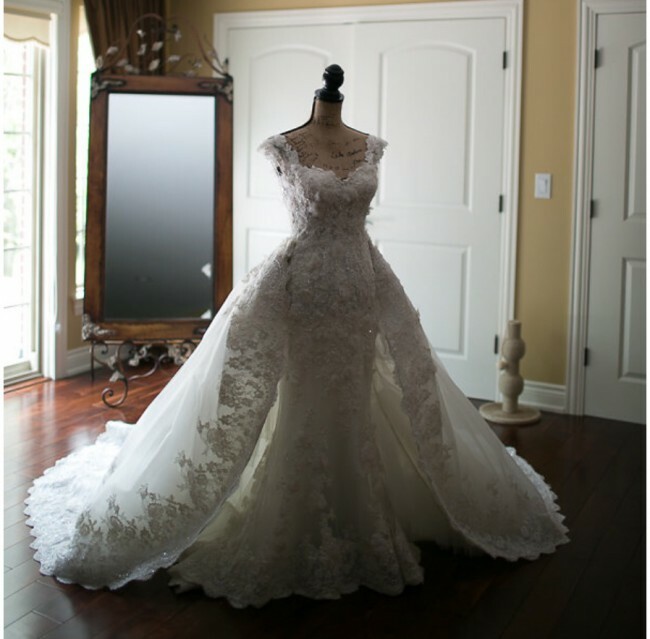 Custom Zuhair Murad wedding dress and detachable train (clips included). Dress is mermaid style, with train is ball gown style. Gorgeous detail! Once you send a message, Ayah can invite you to purchase the dress.